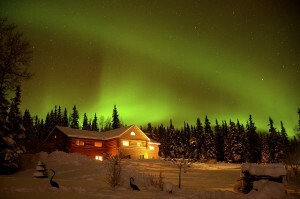 Why Aurora Viewing is Awesome in Fairbanks + “Trip of the Week” Feature! Locals often say that if you stay in Fairbanks for three nights or more, you have an 80% chance of seeing the Aurora Borealis. We have been running our six night Northern Lights tours for years, and seen incredible displays on nearly every single trip. Most tours actually get multiple nights of Aurora viewing. If you have been wanting to see the Northern Lights in person, now is the best time to do it. The lights are caused by solar storms and plasma that is ejected and carried to our upper atmosphere by the solar wind. This solar activity operates on 11 year cycles. After this 2017-2018 season the frequency of Aurora activity will slowly decrease until 2020 and won’t be at the current levels again until 2025. That means your best chances for incredible Aurora viewing will be September through March of this year, when there is lots of clear weather and dark skies. If you are making the trip up North, you’ll want to head to the destination with the best chances of seeing the Aurora, and Fairbanks is your best bet. 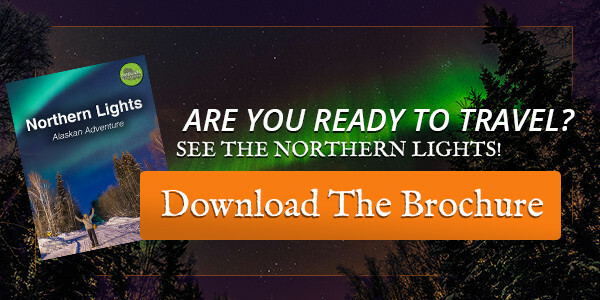 Learn More About our Northern Lights Ecotour! Why is Fairbanks So Great for Aurora Viewing? 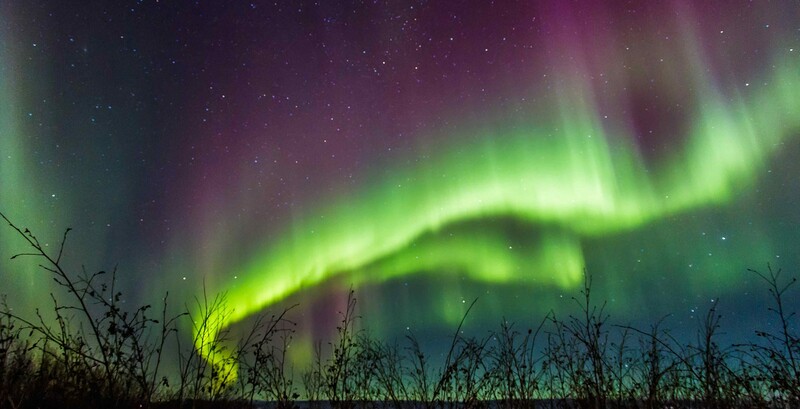 Fairbanks is known as one of the best places to view the Northern Lights in the world, and is the top location for viewing in all of the Western Hemisphere. One reason is that it is situated right below what is known as the Aurora Belt. This belt circles the Northern portions of the globe where the earth’s magnetic fields are weakest, allowing charged solar particles to get into our atmosphere. The reactions of these charged particles with gases is what causes the Aurora displays. It is similar to how neon gas reacts to electricity in a storefront neon sign. There are very few habitable areas that are located so close to that belt, making Fairbanks a huge destination for Aurora watchers around the world. Fairbanks averages 243 nights of Aurora activity per year, but it will only be visible when there is clear weather and dark nights. Our trips are planned for the times of year with the best visibility and the most solar activity, which is why we have such a high success rate for lights viewing! Another reason Fairbanks is known as a premiere Northern Lights destination is it’s weather, which is reliably dryer and clearer than most places in Canada and Alaska. The city is surrounded by the Brooks Mountain Range to the North, the Alaska Mountain Range to the South, and smaller ranges to the West and East. This puts it in a “bowl” where it is protected from clouds and storm systems. It has more sunny days than anywhere in Alaska apart from the far North regions. 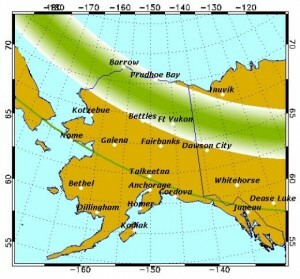 Since Aurora is only visible with clear skies, this gives Fairbanks a much higher frequency of quality viewing. We stay at an cozy log cabin-style lodge outside of the city where there is low light pollution, which makes viewing and photography even better. We also take trips to prime locations like Murphy Dome and Ester Dome, where higher elevation and distance from downtown Fairbanks make for an isolated and unforgettable viewing experience. When you travel with us, you will get opportunities to watch the Aurora from the best spots with expert guides who can advise you on how to capture the perfect photograph. And with small groups you get attentive service and an experience adjusted to your needs. It doesn’t get better than that! The Columbus Dispatch Names our Northern Lights Ecotour as their “Trip of the Week”! We are always excited when a publication shares our trips with their readers. The Columbus Dispatch features a travel column that highlights interesting trips around the world, and we are honored that they chose our Northern Lights Ecotour as their “Trip of the Week”. The author describes some of the exciting activities on our Northern Lights Ecotour: hiking with reindeer, dogsledding through a snowy forest visiting an ice sculpture museum. In addition, we offer custom activities that are exclusive to Gondwana Ecotours, like curling lessons with local players, meetings with a native author and environmental activist, and a visit to an off-the-grid family homestead. It is amazing to learn about their busy lifestyle – they grow their own food, raise rescue dogs and farm animals, homeschool their children all while working and keeping their house running on renewable energy. How is there even enough time in the day for all that? These glimpses into the local lifestyle, and opportunities to learn from Alaskan experts is what sets us apart. Cultural exchange and education make our trips more than just sightseeing – they are immersive local experiences and we take pride in making them as authentic as possible. Guests Are Loving our Northern Lights Ecotour! Learn what life’s really like in the interior of Alaska over lunch with local homesteaders, walk with reindeer, dogsled, learn to curl and unwind in outdoor geothermal hotsprings.